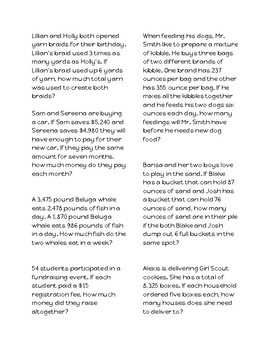 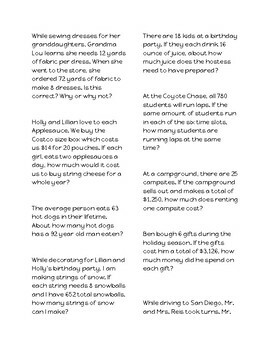 These problems require students to use both multiplication and division to solve. 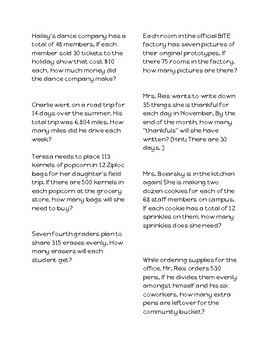 I use them with my fourth graders as an extension and as a review at the end of the year. 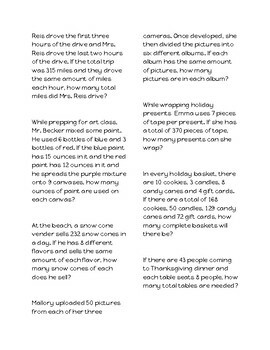 They can be copied and handed out as worksheets or copied and cut out as task cards for students to solve in small groups.